Wednesday the 13th of September, we received the visit of two international delegations interested to learn about how Norway works with green innovation. Wednesday the 13th of September, we received the visit of two international delegations interested to learn about how Norway works with green innovation. Four Greek representatives from the Democritus University of Thrace and twenty Polish representatives from the Mazowieckie Association of Municipalities had a common interest in the role of clusters in regional green growth. Both delegations received funding from EEA&Norway Grants to visit Norway and learn how different stakeholders work with green innovation. Even though the delegations represented quite different types of actors, their shared interest was clusters as drivers for regional innovation and growth. 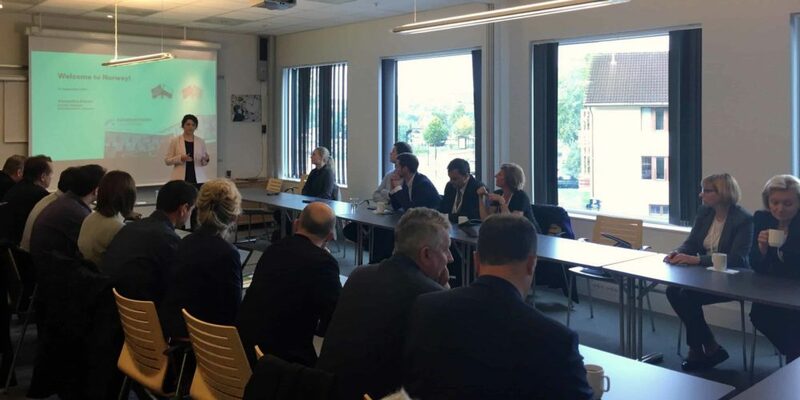 Each delegation had several meetings with different stakeholders in the Oslo region (including Oslo EGE and Omsorgsbygg), but they met each other in Kjeller Science Park on Wednesday morning during a seminar organized by the Green Visits secretariat. 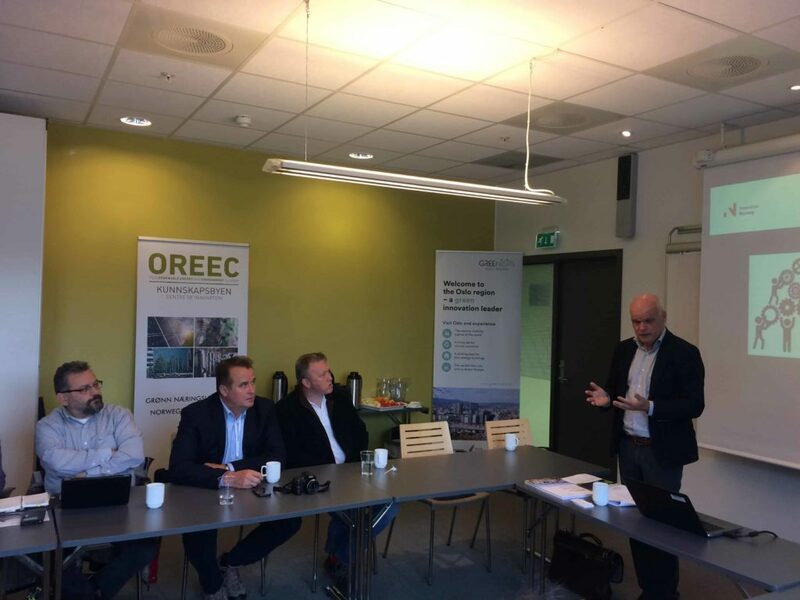 The program included presentations about two Norwegian clusters, OREEC and The Solar Energy Cluster, followed by short discussions on their different forms of cluster management and organisation. The seminar also included a presentation from Innovation Norway about the programme Norwegian Innovation Clusters and a presentation from Akershus County about the Regional Plan for Climate and Energy. The seminar was followed by a networking lunch, where possibilities for further cooperation between the participants where discussed.